Cannondale 10.1, Wow that's Fast! SuperSix, at 10.1 pounds what is not to like, Cannondale has raised (or lowered) the bar. Seems like a no brainer and with the SRAM part list and hollowgram working together, you get a light, fast, stiff bike. Hey you want to ride like a factory rider well then pick one up, you will at least fit in with style, even if you still can't keep up. Small easy and loud. Sony Ericsson is one of the best phone developers and with assessories like the MS500 you can see why. Small and light, really serves what one person is looking for, while out climbing, biking, alone, MS500 helps keep your sanity. Just don't bring it with a group of friends or play it like the old boom boxes. No charging required. Just pop in the included AA batteries and crank your tunes. You'll turn up the volume on any outfit with this splash-proof speaker. Looking for the right solution at your next event look no further. Winning Time a rather new company 1995 and now leader, offers the highest level of both Passive and Active chip technology. While taking on over 2,000 events per year in 20 countries in Running, Triathlon, Cycling, Skiing, Cross Country and more, we continue to advance our technology and expand into new markets. With races popping up all over the country companies like Winning Time stand out, from triathlons to multi-sport events to marathons, Winning Time is there. 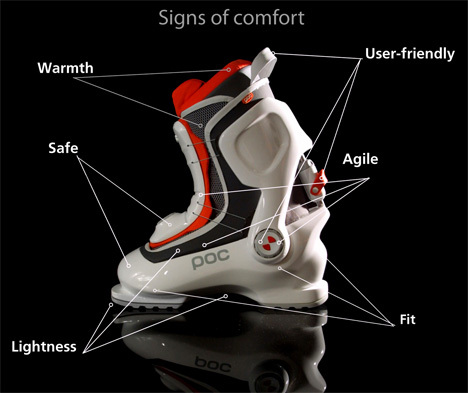 POC, Ski Boots For Comfort! Season is coming to an end, so what better time to buy new boots. The POC seems to eliminate the need to crank down on buckles, you have laces very similar to snowboarders boots. Not sure why this has not be thought of yet and this is just a concept but lets get real. I know snowboarding is relatively new and when it started wearing a good ld pair of Sorels would do the trick. The POC Tarsus boots eschews buckles for laces connected to a tension wheel you dial in for the perfect fit. TheSurfrider Foundation is currently working with a wide variety of individuals and organizations on the Marine Life Protection Act –or MLPA. The MLPA is a state law that requires establishing a “network” of marine protected areas along the California coastline. This law is currently being implemented in Southern California. The Clean Water initiative is primarily focused on protecting water quality in coastal watersheds and in the near-shore marine environment. Consequently, the Surfrider Foundation advocates for strong water quality regulations, adequate marine recreational water quality monitoring, reporting and posting, reduction of polluted discharges into the ocean and education regarding personal responsibility for the reduction water pollution. We also support smart land use planning to ensure that coastal environmental resources are protected and healthy watersheds are maintained. This makes those long hours in the pool not as lonely. Listen to music while you do laps and get through those sets. NU makers of drives MP3 sun glasses, clothing and video seem to be dipping their hands into the ocean and seeing what bites. The new NU Dolphin is a Waterproof MP3 player tailored for swimmers and water sports enthusiasts. The design concept is to create a portable & Waterproof music device that can be worn by swimmers and other water sport athletes while keeping the impact on their athletic performance to minimum. The NU design team come up with this ultra light weight, ultra compact player that weighs only 25g with a dimension of 60 x 20 x 20mm. Its cylindrical-shaped casing features a minimalist outlook with all control buttons located on one side, and the headphone jack on the other side. The Waterproof earphone attaches to the player via a special screw-in jack to keep the device water-tight. Both the Waterproof earphone and the Waterproof MP3 player were tested to comply with IPx7 international water resistant standard. The Waterproof earphone employs a special non-woven fabric membrane to keep the speaker vibration plate dry while maintaining a high quality sound output. The earpieces are attached with a soft silicon earplug that fits snugly in the ears. The earplugs not only keep the earphones dry but also prevent the earphones from coming loose during vigorous activities. Dolphin TOUCH, Guaranteed Waterproof quality level by the International certified IPX7, you can Share all the greatest fun from all kinds of outdoor activities, such as Swimming, Surfing, Snorkeling,SPA, Mountaineering, Fishing, Jogging, Biking…, with 4GB embedded Nand Flash Memory size allow you to play 960songs of MP3/WMA and FM radio for Free! !